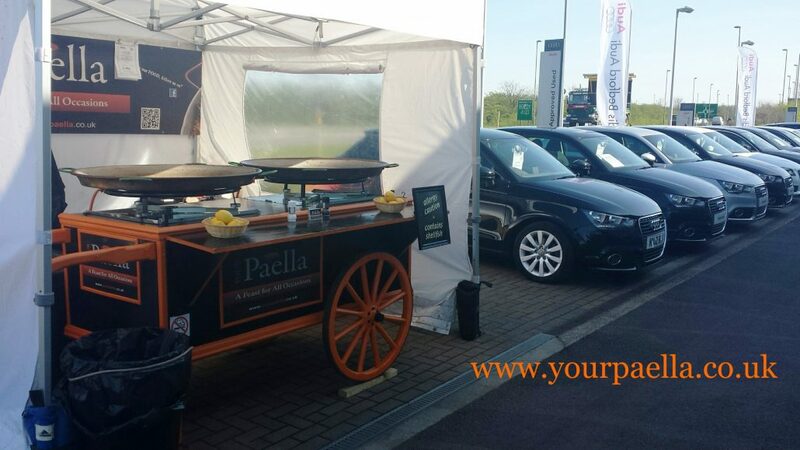 When you need a corporate catering service Paella is a perfect choice. Corporate Paella is on the increase and its no wonder. Paella is a healthy, cost effective way of providing a delicious hot meal for large numbers of corporate guests. When your corporate guests see and smell fresh Paella being cooked in very large authentic Paella pans at your event it will certainly make a good impression. I would go so far as to say a much better impression than some cold sausage rolls and stale sandwiches. It also makes a fantastic focal point! Your Paella in a large warehouse. 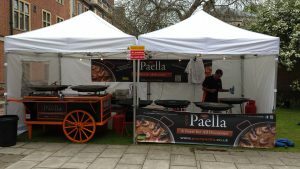 Your Paella and its staff are experts in cooking corporate Paella and will provide you and your clients with a high quality product at a very attractive price. 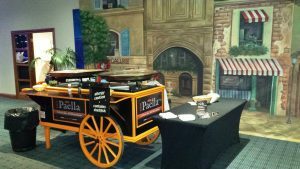 Your Paella will come to your corporate venue indoors or outside and provide a hassle free, totally professional corporate catering service. 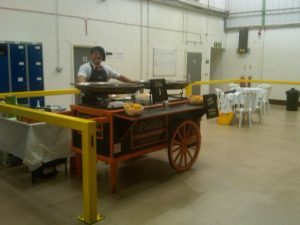 You can find a lot more information on Your Paella’s main website www.yourpaella.co.uk.